Natural food source of essential iodine. From mineral-rich waters comes the nutritional vegetable of the sea. 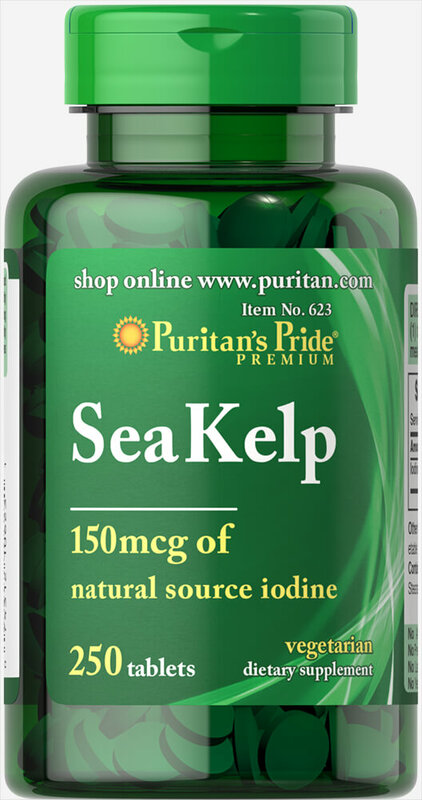 Kelp provides iodine, which is one of the few minerals designated as essential. If you are on a low salt diet, you may not be getting enough of this important mineral. Just one tablet per day provides 150 mcg. of iodine. This is equivalent to 100% of the Daily Value for adults and children over the age of 12.